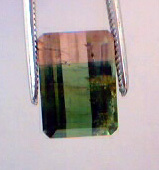 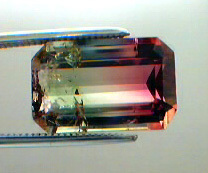 The Bicolor Tourmalines below are Brasilian and were literally purchased in Brasil in the 1980's. 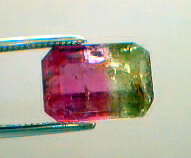 Back then, most bicolors were known to be variations of green and pink/red. 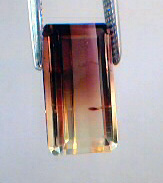 However, we did find a number of unique bicolors back then, including peach and pink, burnt pink and beige, and even peach and blue. 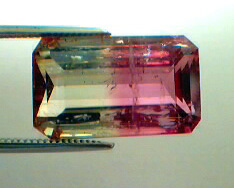 Normally, bicolors are known to contain inclusions. 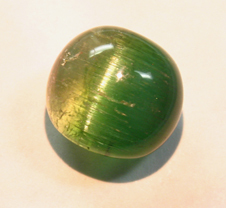 There have been a few finds in Brasil and in other countries years later in the 90's producing cleaner gemstones, though differing in color from the expected bicolors (not as vivid in color, slightly darker, etc.). 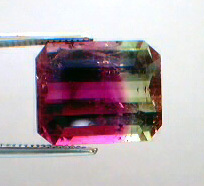 Yes, many of the bicolors below have inclusions - this is expected and acceptable - please keep in mind too, that these are photographed under bright lights and magnification. 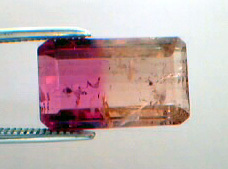 When these gemstones are viewed under normal lighting conditions with the unaided eye, the inclusions are typically not what they appear below, but still might be noticeable - again, this is what one expects. 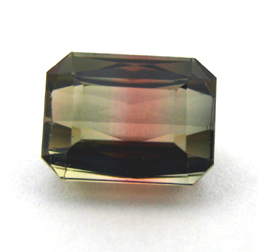 If you want a mostly clean bicolor, contact us and we will see what we can find! 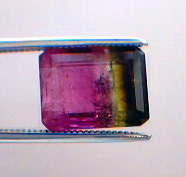 Note that we have smaller bicolors ranging from 1ct to 2cts. 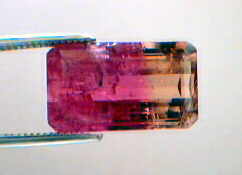 The ones shown below are larger gemstones and therefore, less common and more money per carat.